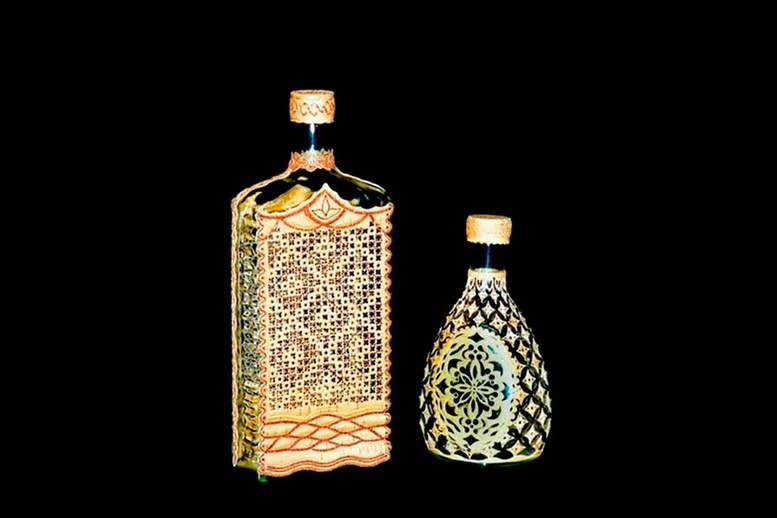 Elite Beverages, Lux Bottles & Boxes by MJ Customize - Gold, Diamond, Leather, Wood etc. 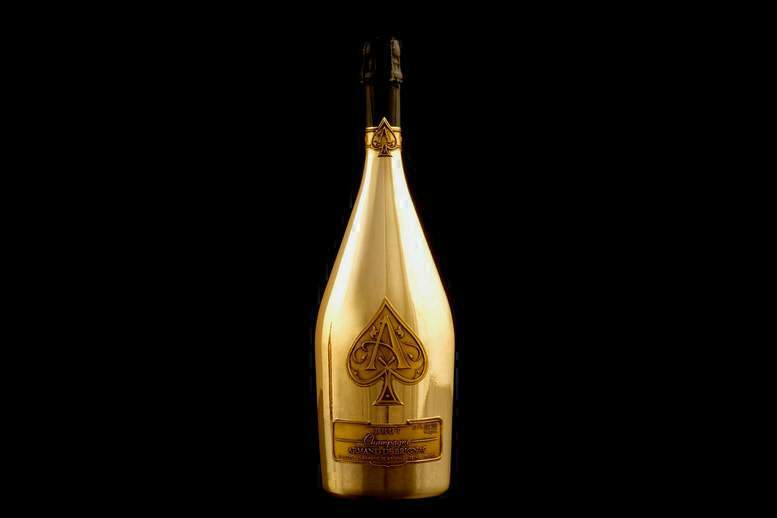 The most expensive and luxury beverages and bottles of global brands in the author's edition of MJ. 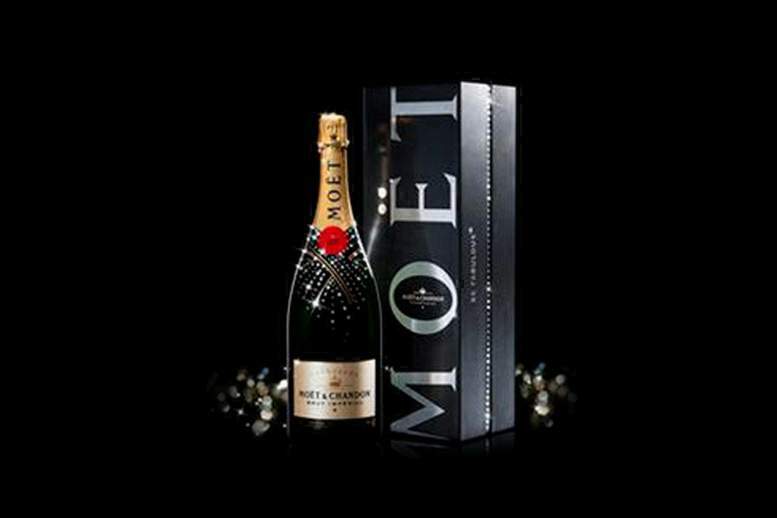 - Luxury drinks, bottles and gift boxes in exclusive edition of Art Studio MJ. 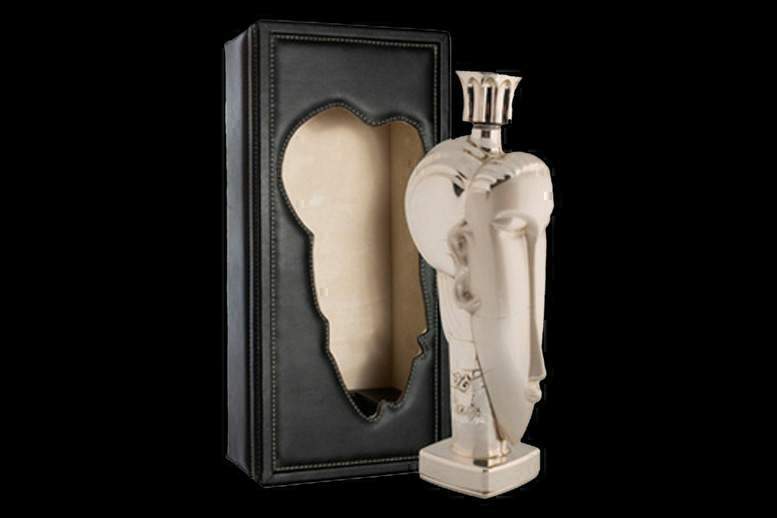 - Coating with 24-carat gold leaf, gilding metal, glass and leather items. - Laser and hand engraving and milling, airbrush, coating varnishes, hot and cold enamel. 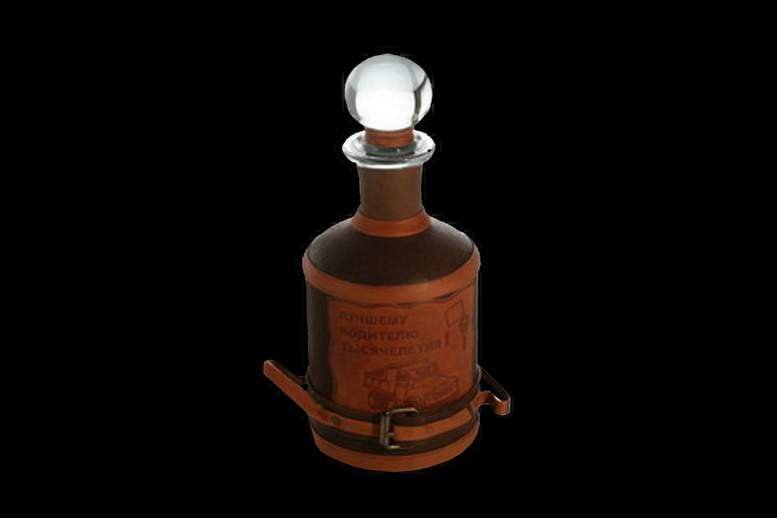 - Restoration and repair auction, collection, archive, and unique vintage bottles and packages. 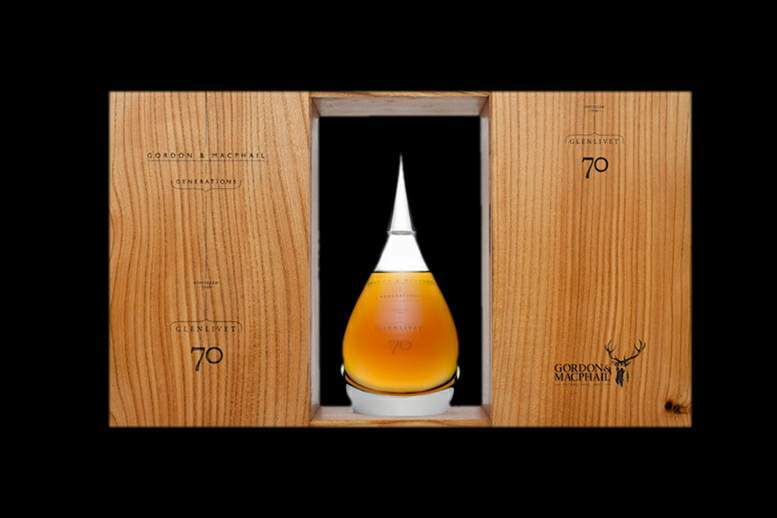 - Any size and capacity of bottles, from the smallest schaal to giant bombastic barrel. 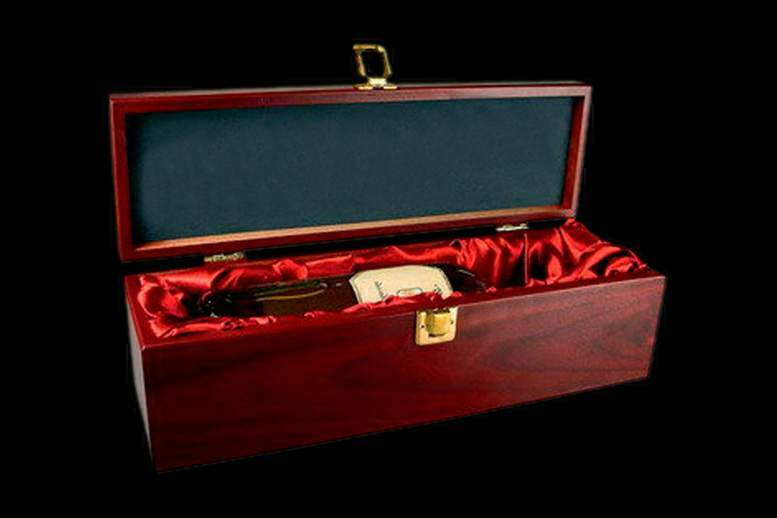 Exclusive and the world's best Wine, Champagne, Whisky, Brandy, Cognac, Armagnac, Grappa, Calvados, Kashatsa, Metaxa, Tequila, Mezcal, Rum, Bourbon, Vermouth, Port, Sherry, Tokay, Madeira, Malaga, Perry, Cider, Sake, Sato, Absinthe, Aquavit, Martini, Baileys, Sambuca, Amaretto, Gin, Maotai, Raky, Chacha, Beer, Kvass, Vodka, Coffee, Juice, Water, Infusion, Balsam, Liquor and other elite alkagolnye and soft drinks in exclusive editions of Art Studio MJ. Mixed drink in bottles jewelry collection of real gold. 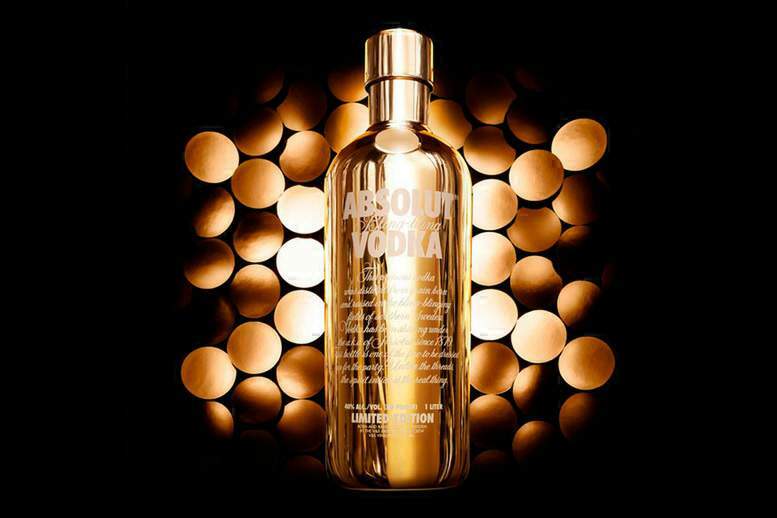 Individual orders production of bottles of all shapes and sizes of pure gold. Only handmade. Only individual orders. Only the most luxurious materials. 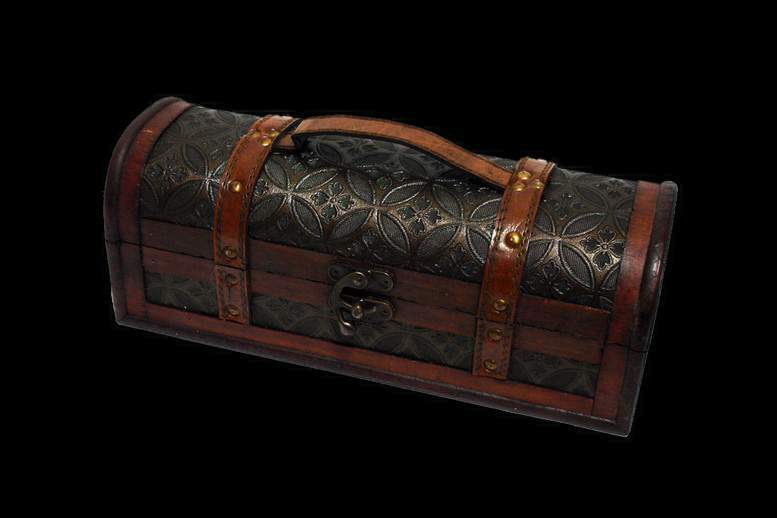 Boxes of leather, precious woods, precious metals and stones. The individual personalization. Inlay logos, emblems, logos, initials etc. 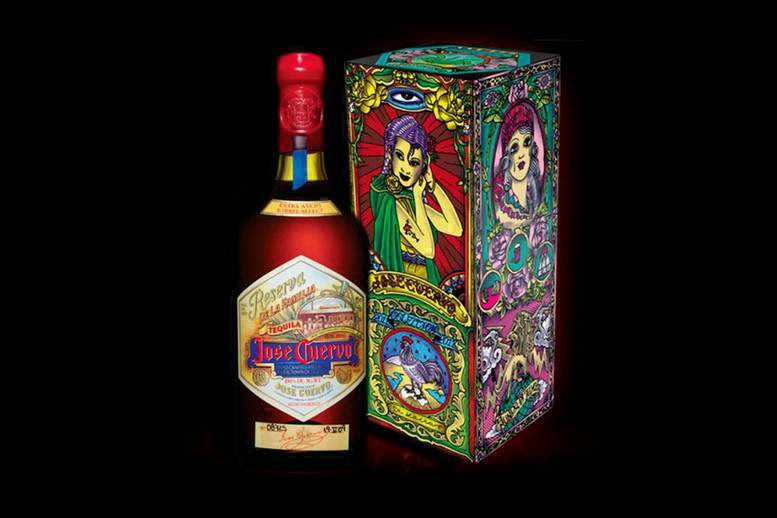 The bottle design has developed artist Fernando Altamirano. Exclusive tuning of the Art Studio MJ. Pure platinum and diamond identifiers. Water from Tributo a Modigliani - a mixture of pure spring water from France and from the islands of Fiji, with the addition of water from the glaciers of Iceland. 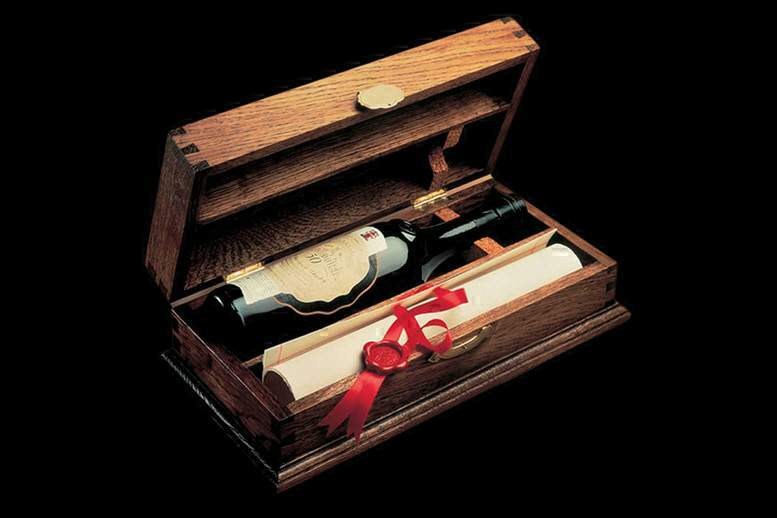 Gift boxes are made by individual boxes of leather calf, buffalo, crocodile, stingray, ostrich, shark, elephant, cobra, python and other types of MJ. 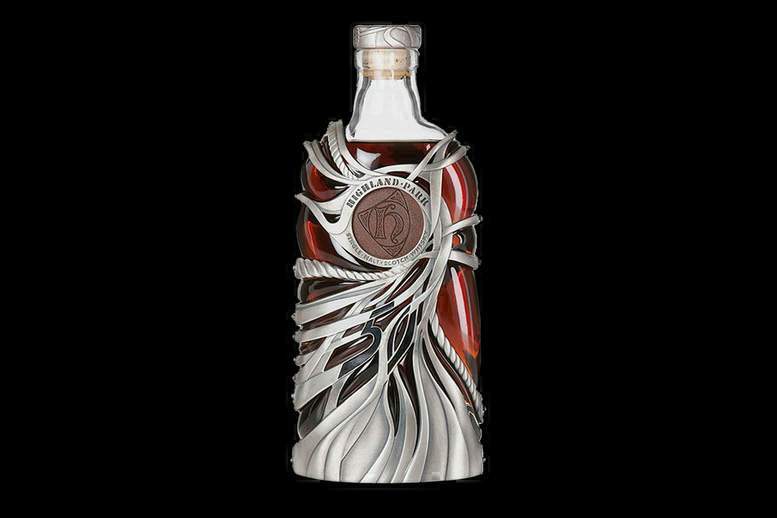 The bottle is decorated with silver, platinum, white gold and mahogany. 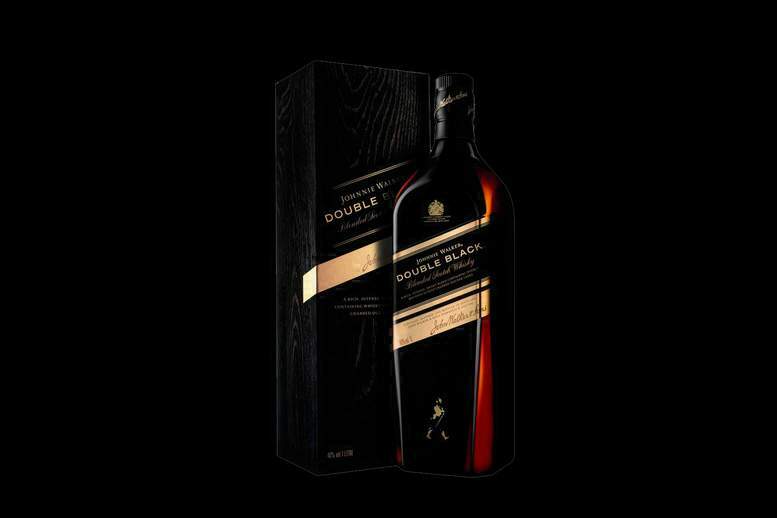 Whiskey for true lovers of exquisite drinks. 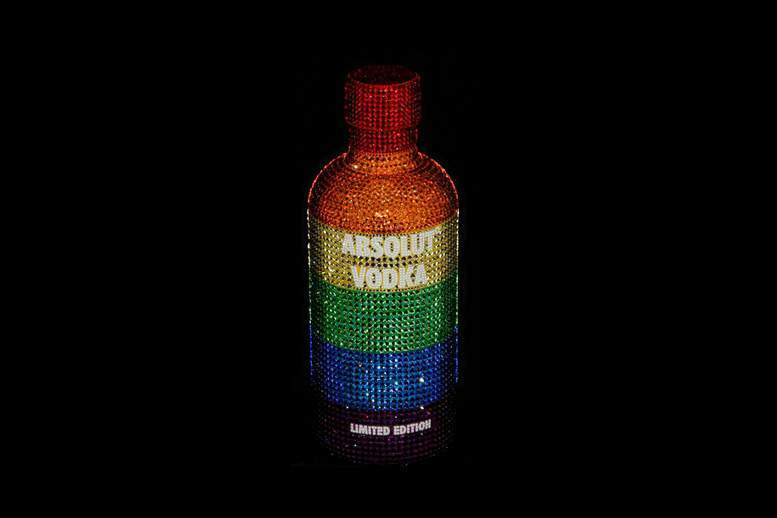 Individual orders tuning and restyling bottles, glasses and any other accessories. shark, elephant, mink, sable, ermine, tiger, lion, raccoon, seal, bear, fox, giraffe, cougar, cheetah etc. 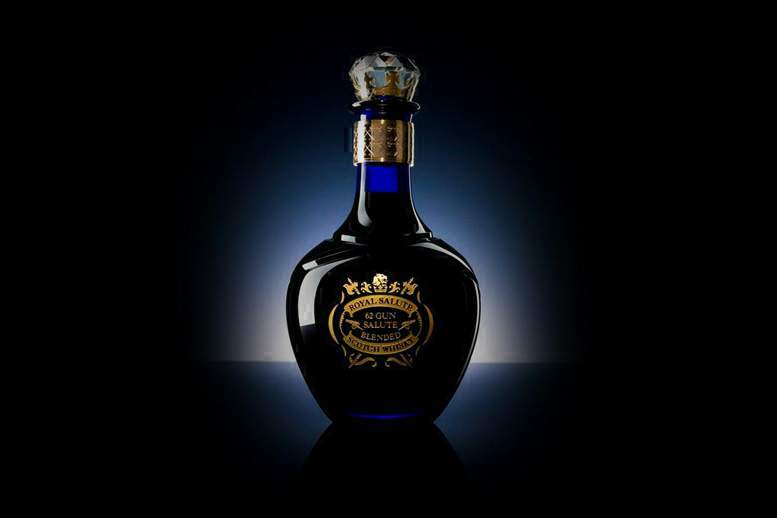 The most expensive cognac in the world 2.000.000 usd, untitled " King Henry the fourth " Henri IV Dudognon famous not only because that is listed in the Guinness Book of Records as the most expensive drink in the world. It has 100 years of exposure, 41% alcohol. 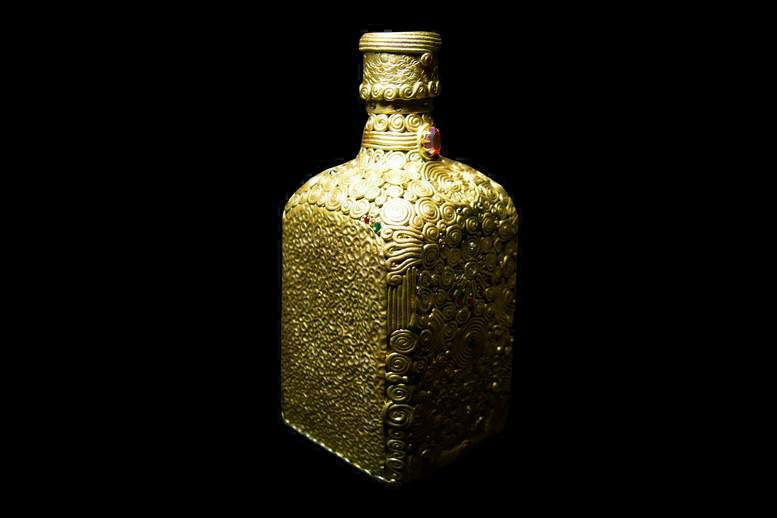 Bottle of 24 carat gold decorated with diamonds 6500 was sold in Dubai. 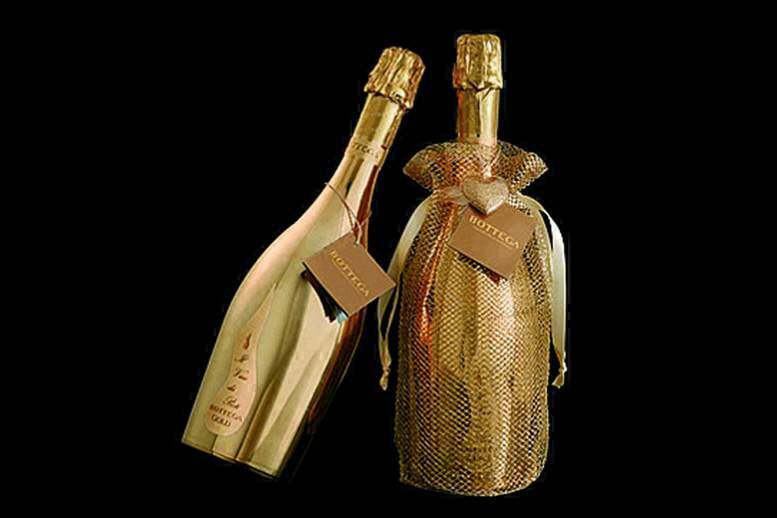 The most expensive drinks in the world. Exclusive personalization of MJ. Only the legendary brand of alcoholic beverages. Corporate series of alcoholic beverages with the ranking staff. 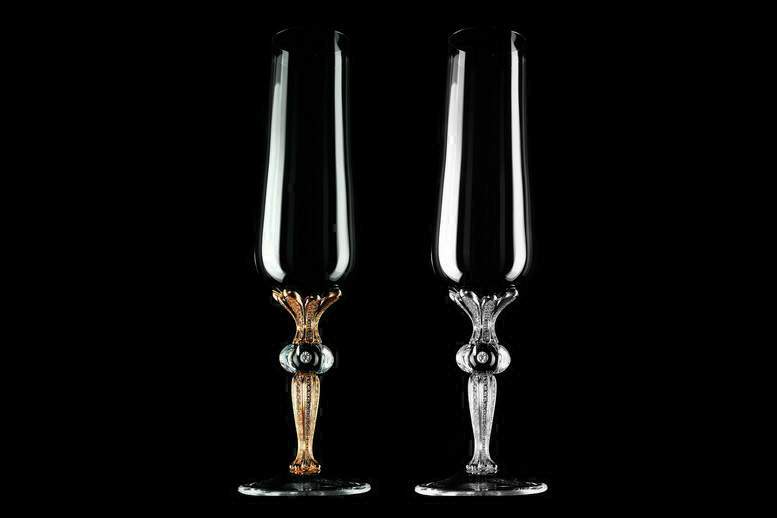 Exclusive glasses with crystal, gold, platinum and fancy diamonds. Individual orders any samples of gold, platinum, palladium, and all kinds of precious stones. 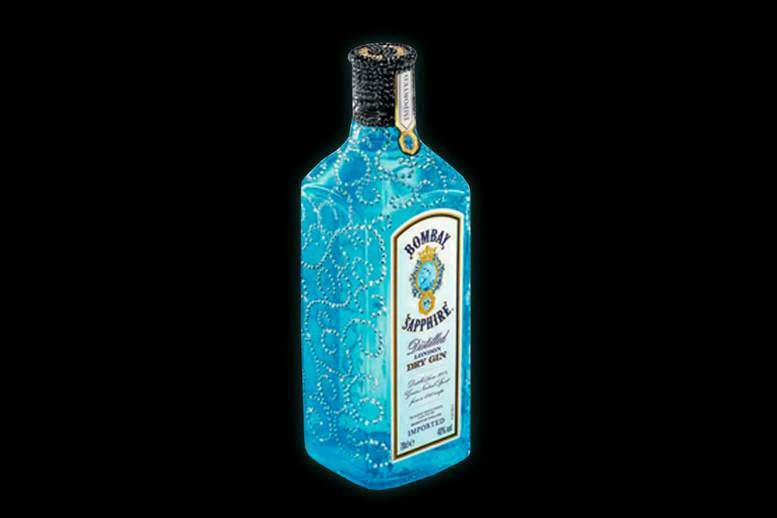 Exclusive gin decorated with Swarovski crystals and precious stones. Individual orders inlay bottle blue sapphires and diamonds. Booth's, Burnett's White Satin, Plymouth Gin and any other gin. Order by individual inlay real gems. 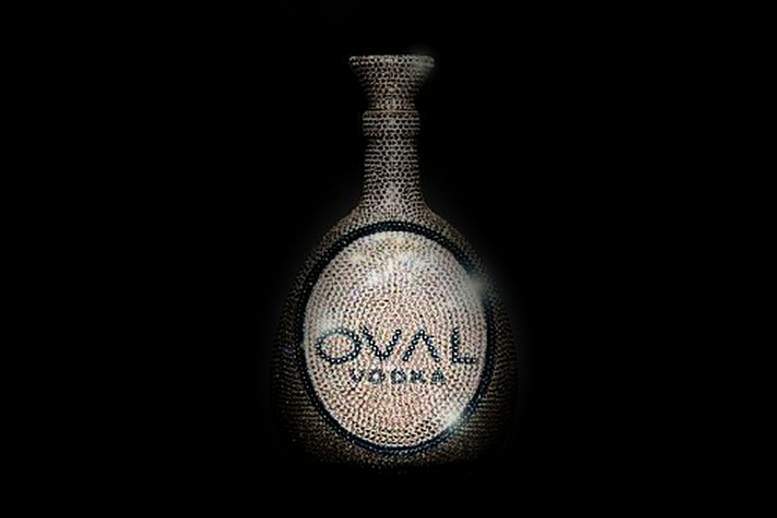 Precious bottles decorated with diamonds and sapphires. 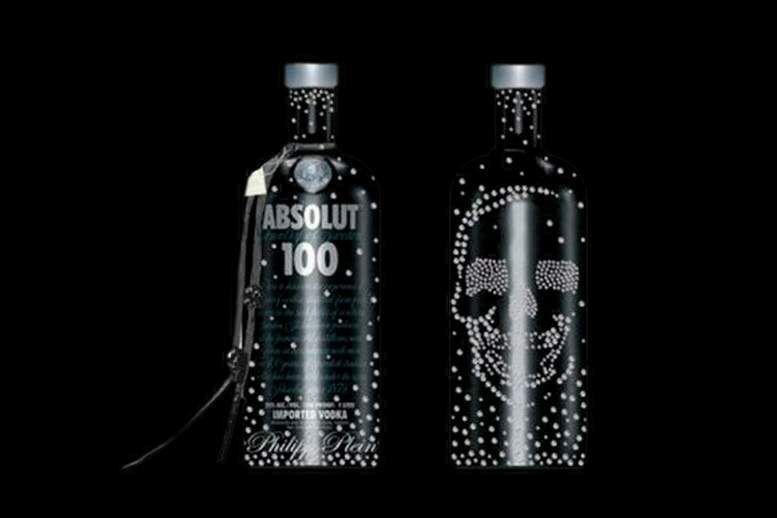 Bottles are decorated with a series of crystal edition Swarovski crystals. 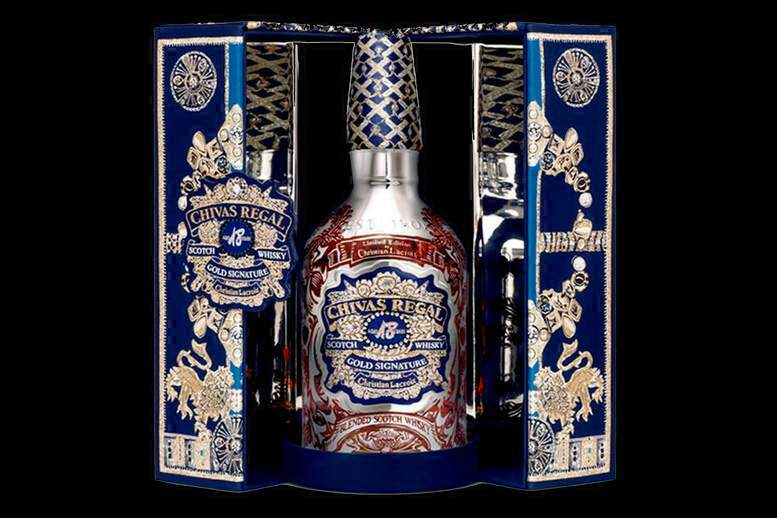 Royal Salute - alcohol brand, owned by the family of Chivas Brothers. 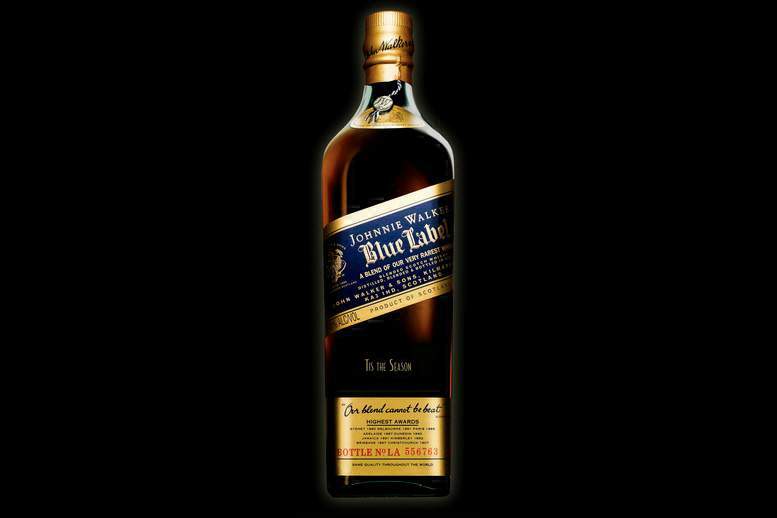 This whiskey obtained by mixing four different varieties, each of which has an exposure not less than forty years. 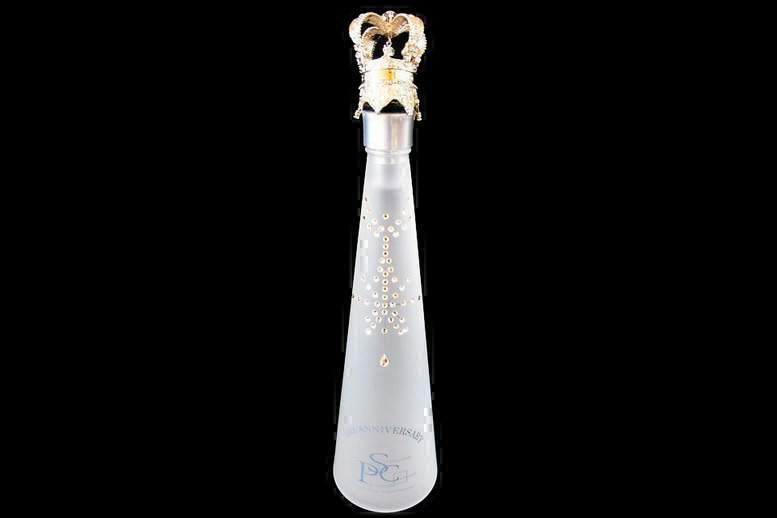 Bottle decorated with 24-carat gold and crowned with a crystal stopper in the shape of a crown. 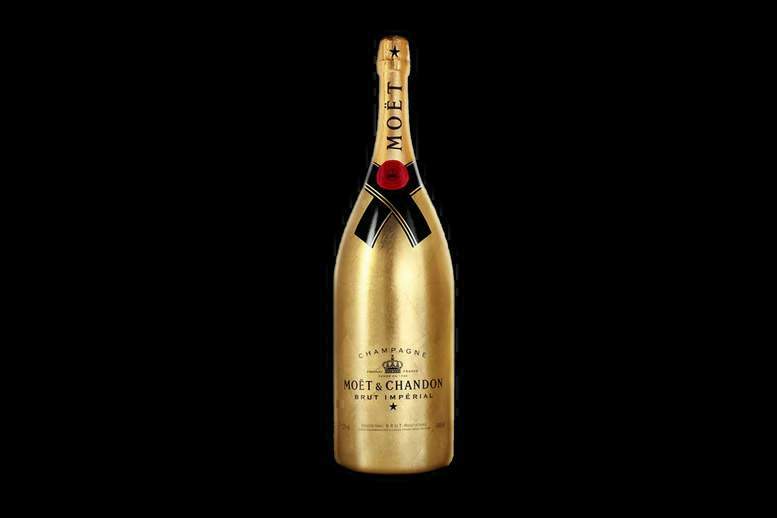 Art Studio MJ turns any alcoholic beverages in the elite royal gifts. 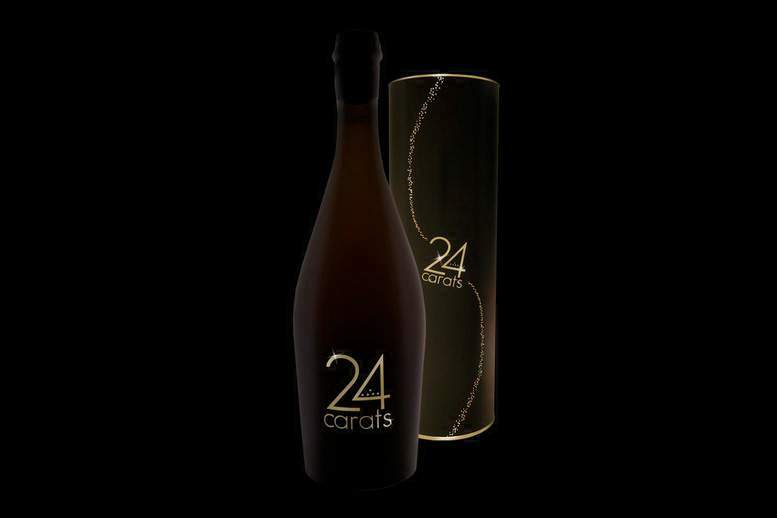 The new beer has received 24 Sarats title, all because its composition has particles of gold 24 carat. I-Beer Company created a new intoxicating drink in the best traditions of French brewers. Individual orders elegant packaging production of black amber, jet and fancy diamonds. 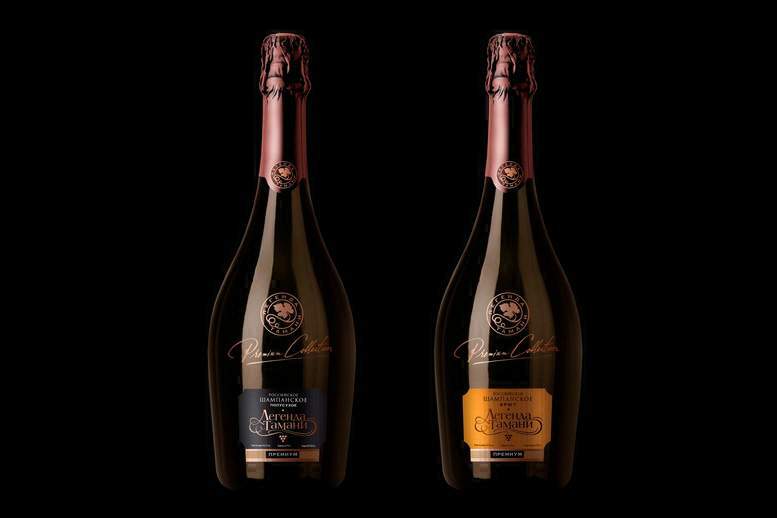 Luxury Champagne from global brands in limited Suite editions. 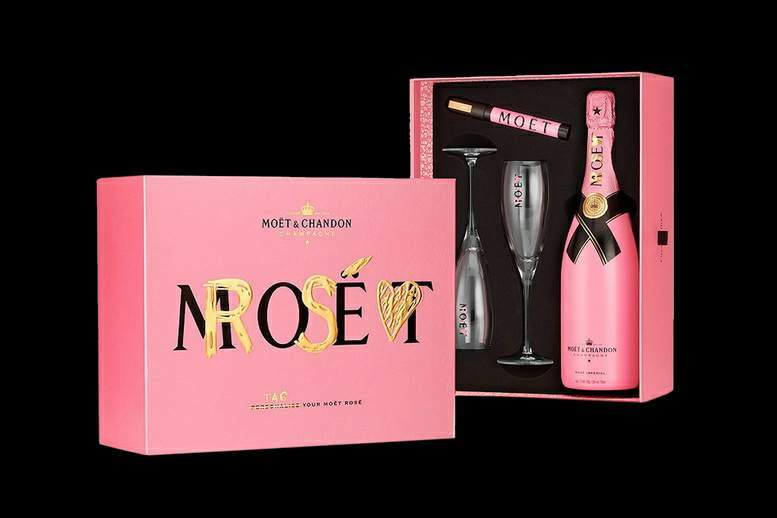 In sets of MJ entering only the elite champagnes and of course a variety of romantic and themed accessories. Gifts for weddings, Valentine's Day, March 8, and other festive events. Mobile bars for the elite. Only handmade and premium materials. 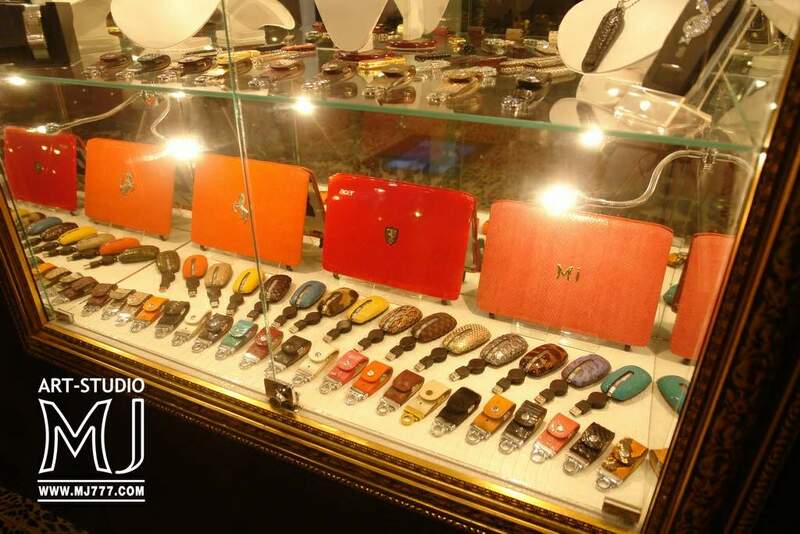 Wood, gold, silver, carbon, titanium, leather, fossils, minerals, and other rare materials VIP. 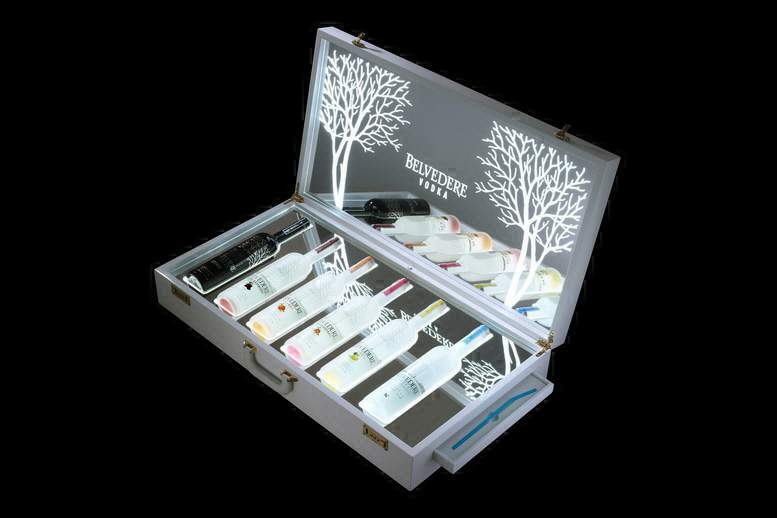 Corporate kits for VIP orders any more drinks and accessories. 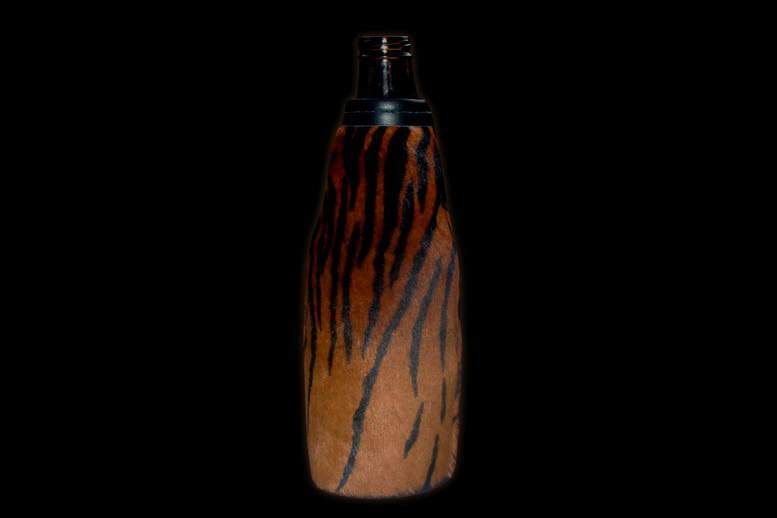 Exclusive bottles decor with wood, leather, gold, silver, cloth, velvet, suede etc. Only individual orders. Only handmade. Exclusive only. And also make a unique personalized gift box with initials or crest. 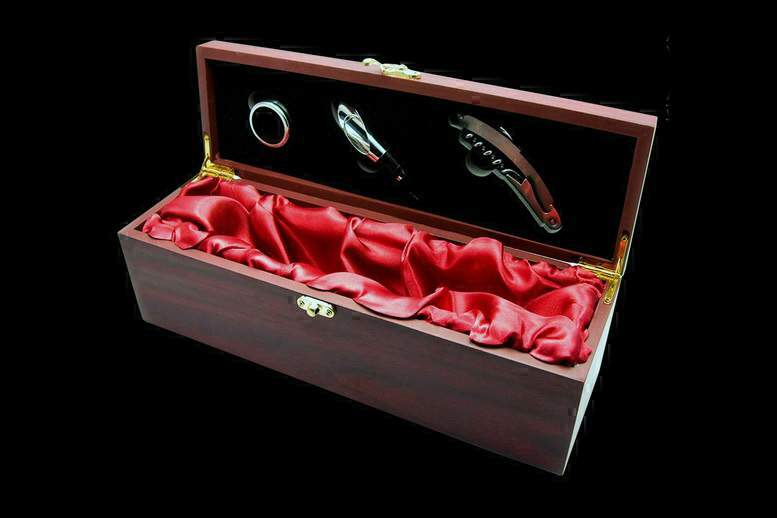 Gift boxes of valuable wood and additional accessories made of precious metals. 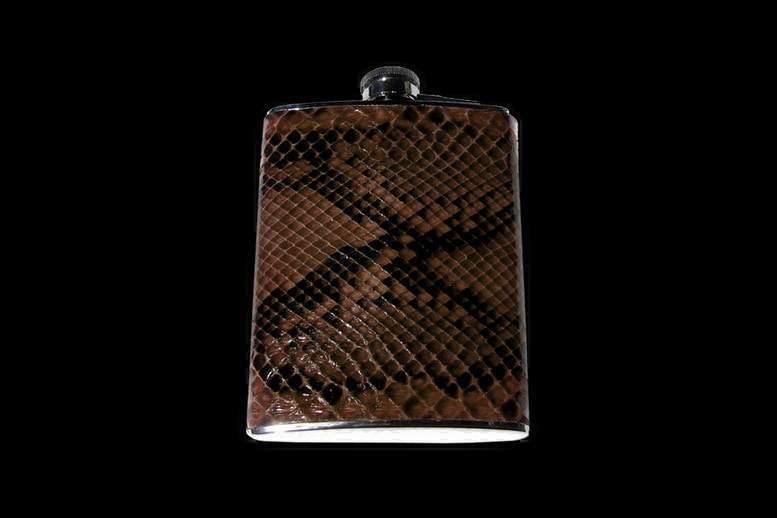 Bottle openers, cork, corkscrew, keys, key rings, mini watering can, cocktail accessories, etc. 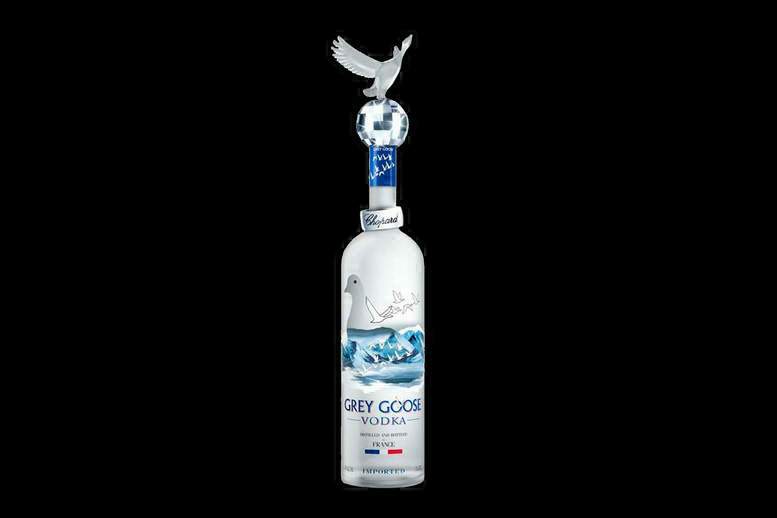 Vodka of an alcoholic French premium brand Grey Goose and jewelry house Chopard. 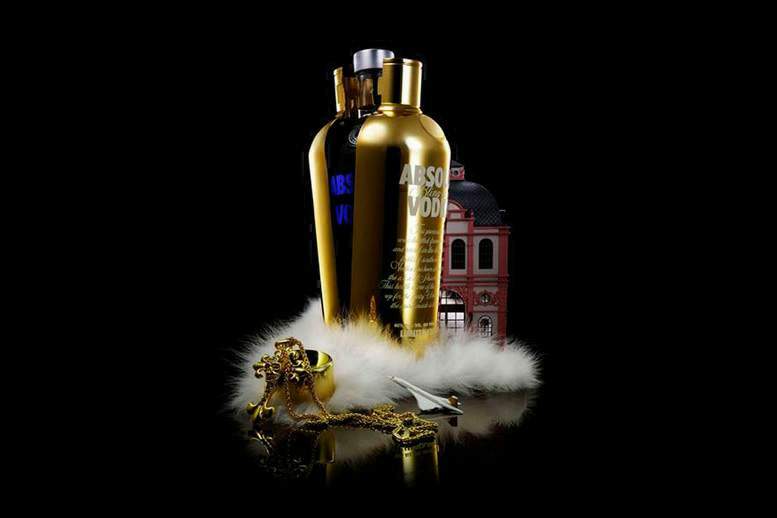 Vodka Oval, Alize LE, Russo-Baltique, Absolut Crystal, Iordanov, Belver Bears, Vodka Diva etc. Individual orders inlaid with gold, platinum and diamonds. 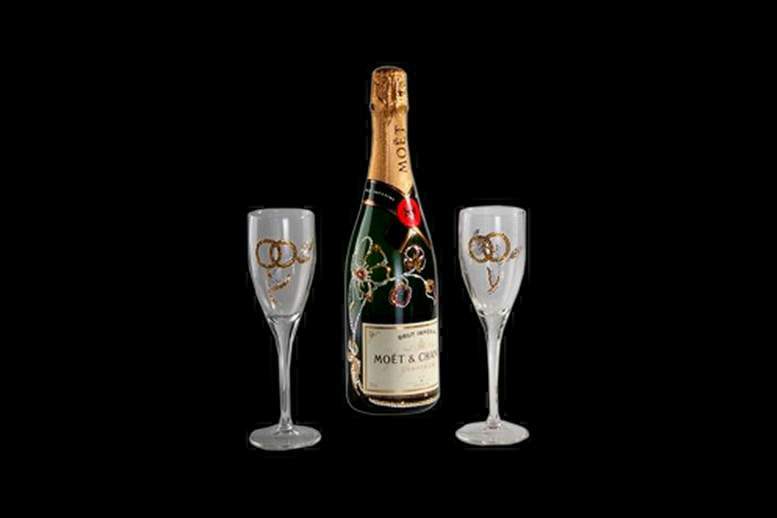 Wedding set - collection champagne and glasses decorated with gold and colored diamonds. 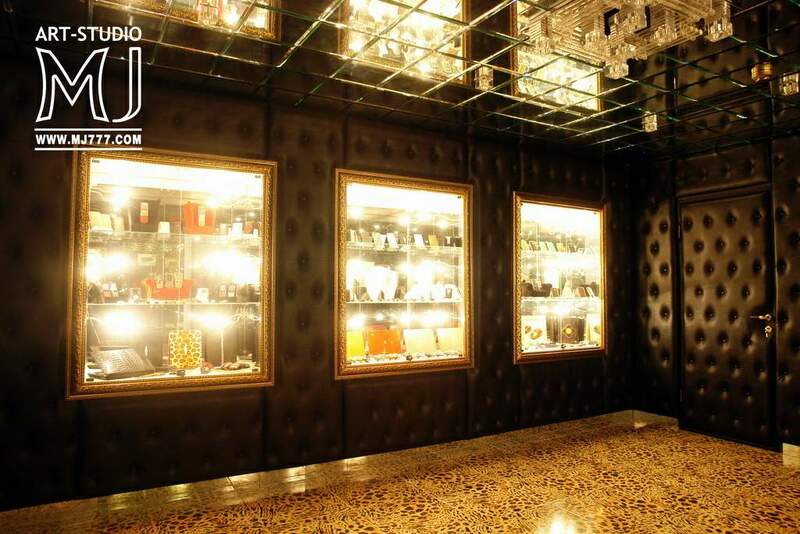 and other luxury brands in exclusive editions with decor gold and diamonds from MJ. 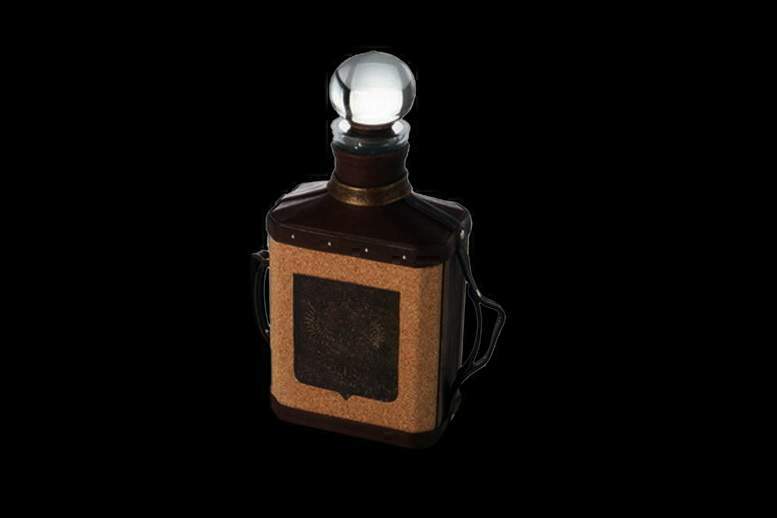 The most expensive in the world of wine, cognac, whiskey and other alcoholic beverages in the collector's edition of MJ. 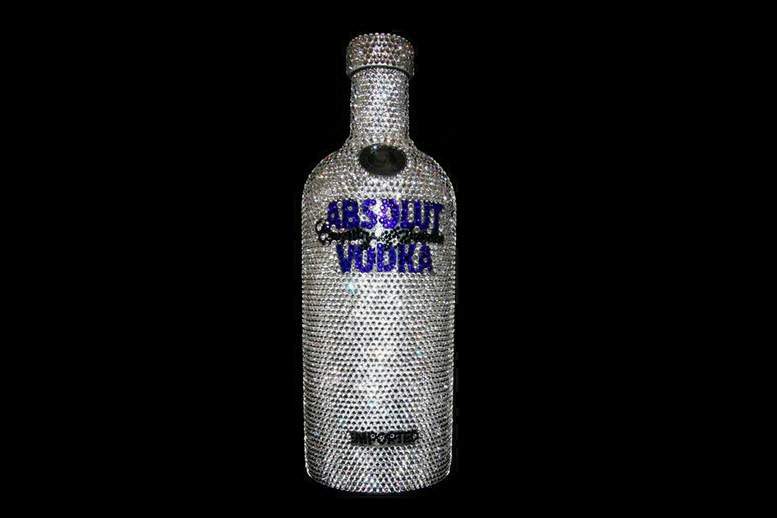 Bottle decorated with Swarovski crystals. Can any inlay pattern, any color crystals. 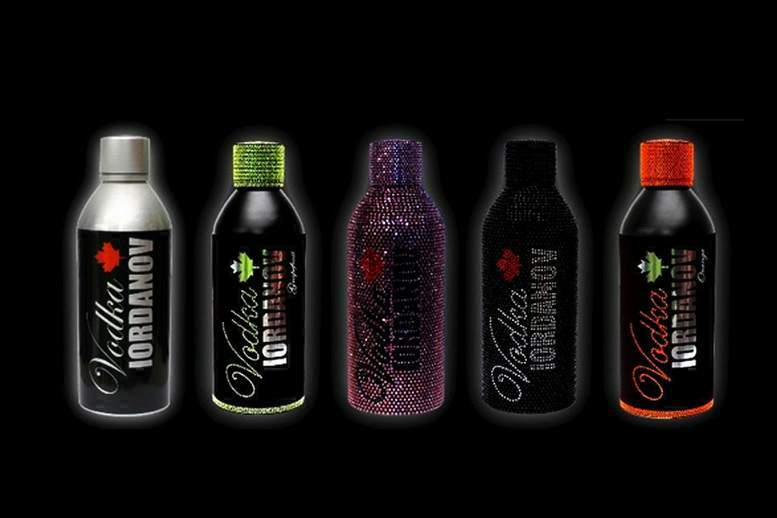 VIP bottle series of MJ Gems Edition decorated with real gems. Rubies, sapphires, emeralds, diamonds and colored with a unique facet. Personalization using gold leaf and diamond identifiers. 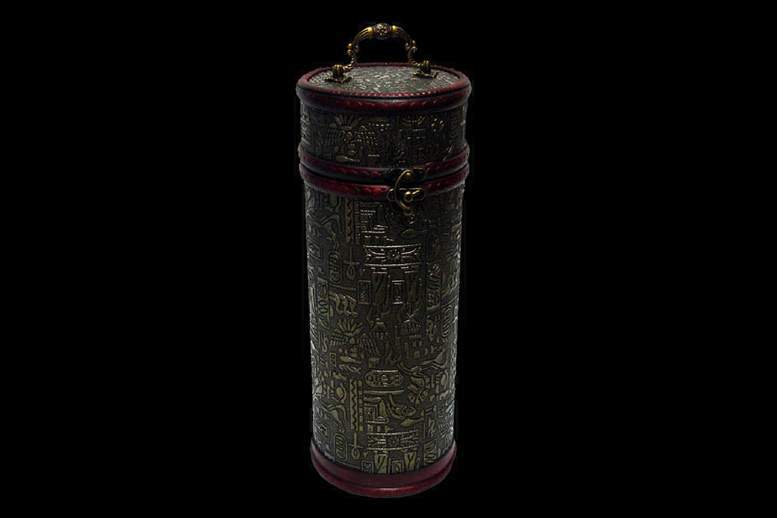 Casket jacquard brocade and gold leaf and mirrors inside. 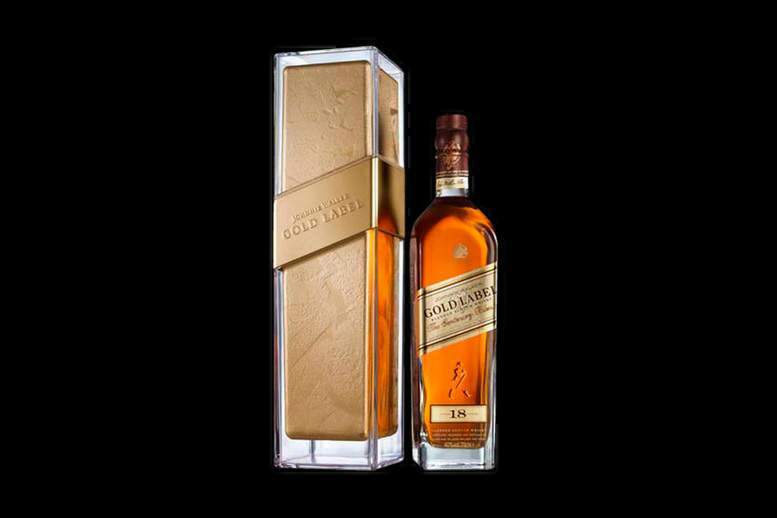 Individual orders release bottles in the cast and 18 - carat gold or 24 - carat gold leaf. Also available in an exclusive box - boxes of gold inscribed with coats of arms and emblems. 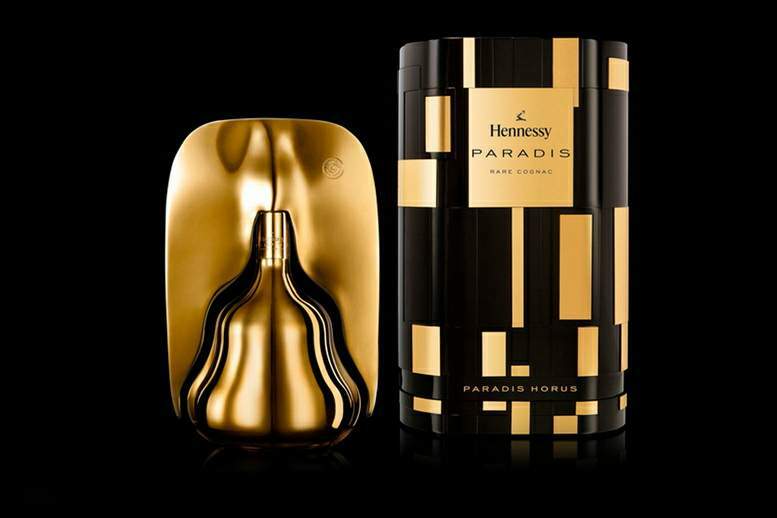 The best, most expensive and prestigious cognacs world: Hennessy Beaute du Siecle, Henri IV Dudognon, Camus Cognac Cuvee 3.128, Courvoisier L'Esprit, Delamain Le Voyage, Hardy Perfection Fire, Hennessy XO Mathusalem Cognac Limited Edition, Hennessy Ellipse, L'Art de Martell, Jenssen Arcana, Remy Martin Louis XIII Black Pearl Magnum and others. 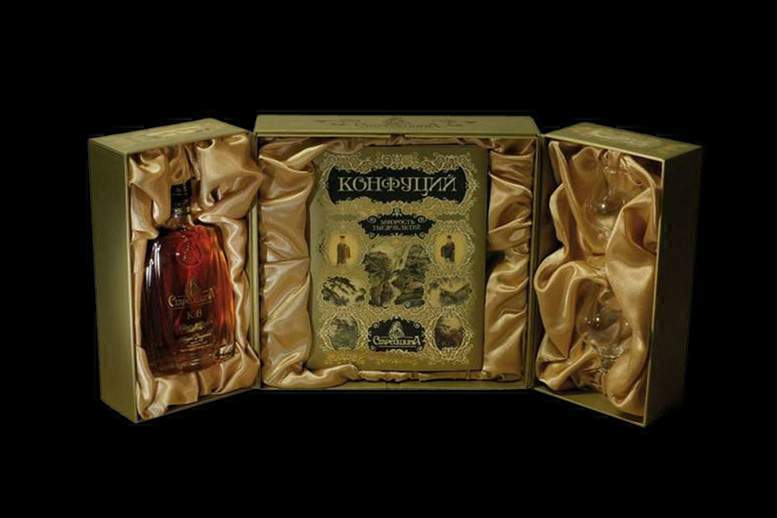 Only the most exquisite gift edition tequila and mezcal from MJ. 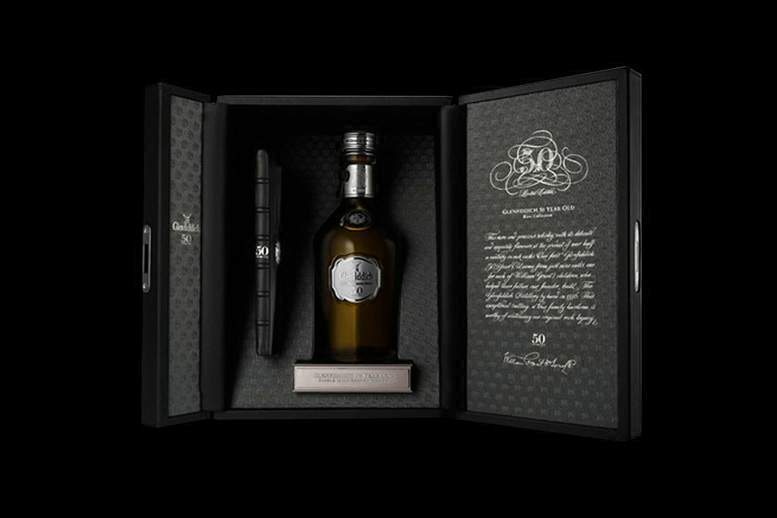 Only the most expensive tequilas: Ultra Premium tequila Ley .925 Pasion Azteca, Barrique de Ponciano Porfidio, Tequila 1800 Collection, AsomBroso Reserva Del Porto, Tres-Quatro-Cinco, Rey Sol Anejo, Partida Elegante, Don Julio, Herradura, Casadores, Milagro Romance, Maracame Plata, Herradura, Gran Patron Platinum, Don Julio Blanco, Tequila Jose Cuervo Reserva De La Familia, Tequila Hechicero, Don Agustin, Esperanto, Indiana, Tequila 1921, Montezuma, Tres Generaciones and other types of tequila in the exclusive series. 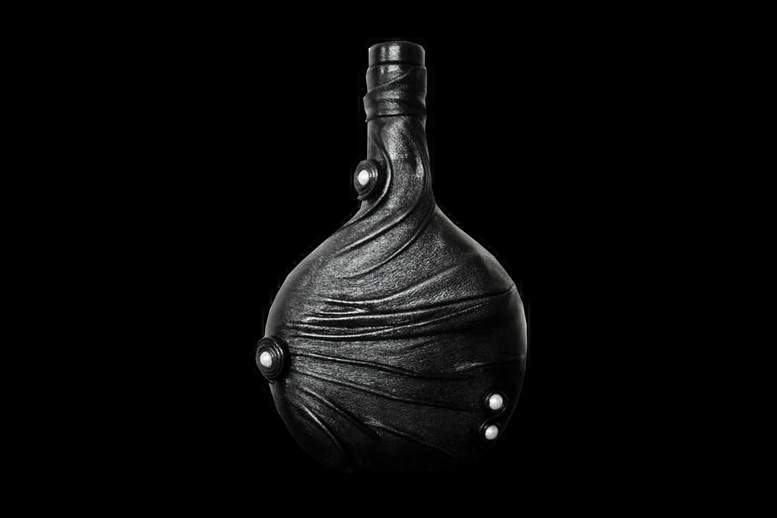 Tequila decorated with gold, wood, leather, diamonds and other precious delights of Art Studio MJ. Elite alcoholic beverages. 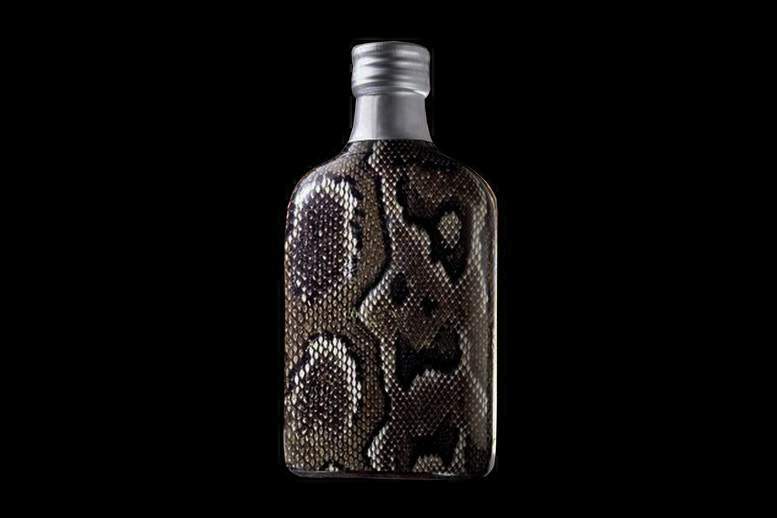 Exclusive bottle. Gift bags and packaging. Personalization precious metals to individual orders. Only the most elite wines. Vintage wine and auction. Only premium grade. 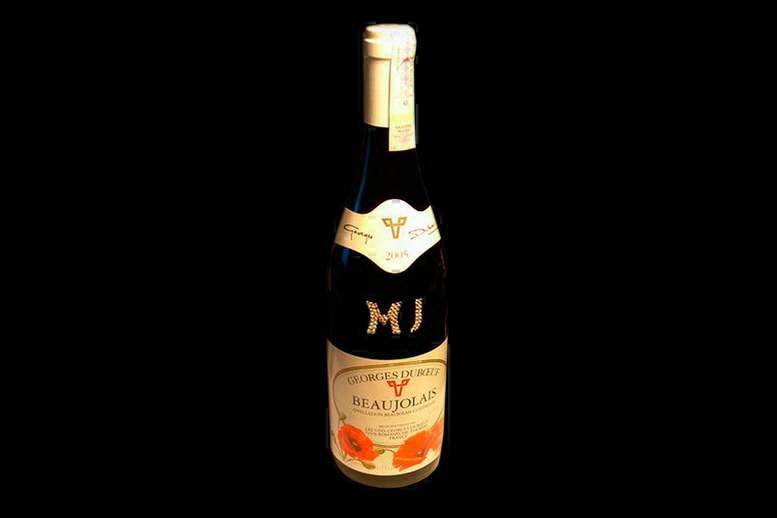 Exclusive red, white and rose wines and champagne in copyright edition of MJ. 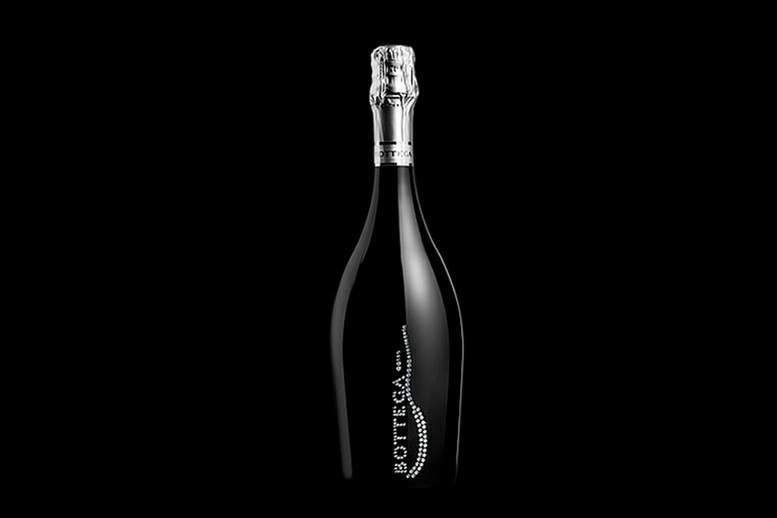 Bottega Diamond Wine Single Copy - Bottle decorated with diamonds from MJ. 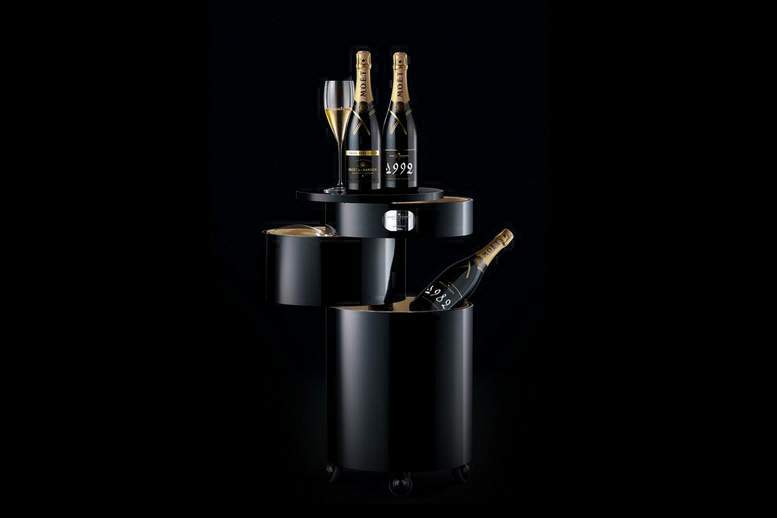 Are available for individual orders of the most luxurious materials. Crystal, Bohemian Glass, Leather, Wood, Titanium, Carbon, Silver, Gold, Diamonds. 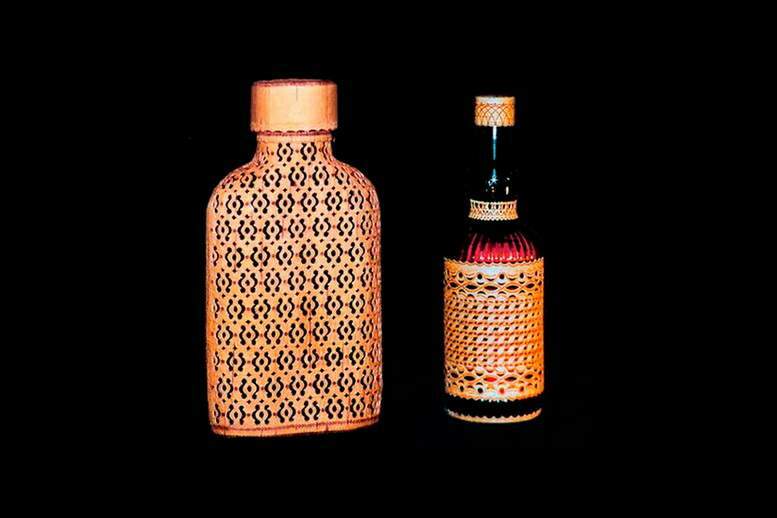 And MJ art studio has created a unique bottle and gift wrapping. For individual order - yellow gold, pink gold, white gold, red gold, purple gold etc. 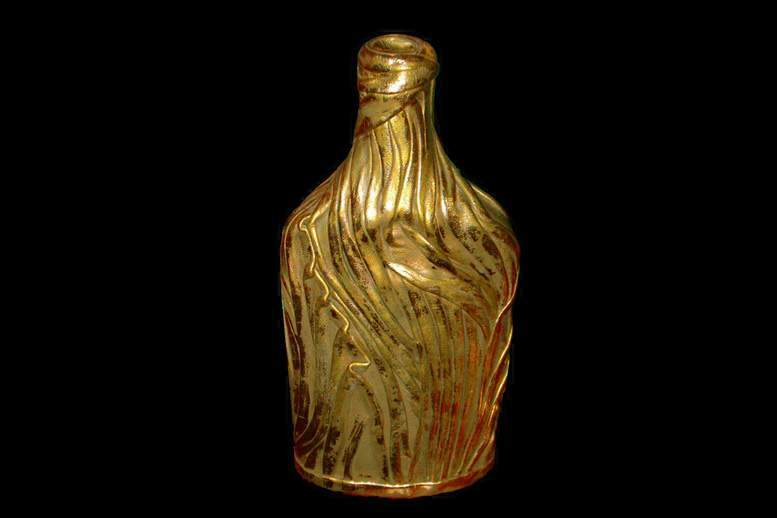 Author bottle is gilded and of solid gold 999 - th sample. Box of ebony and gold plates 777- th sample. 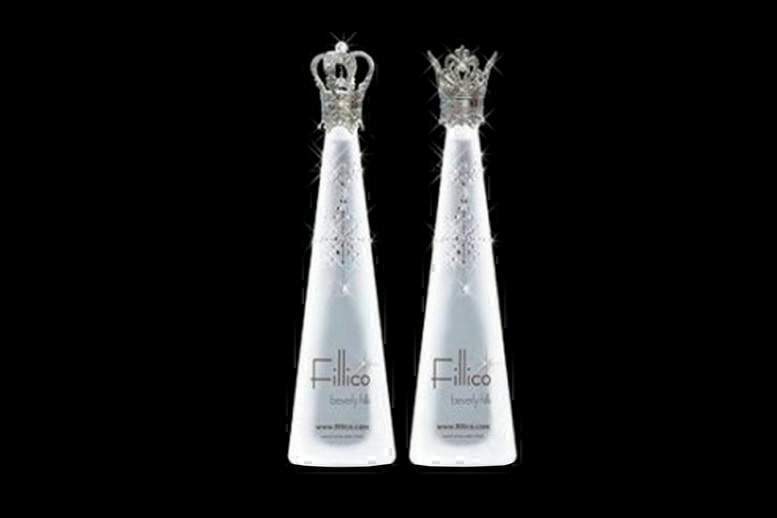 Exclusive water with crystals Swarovski. 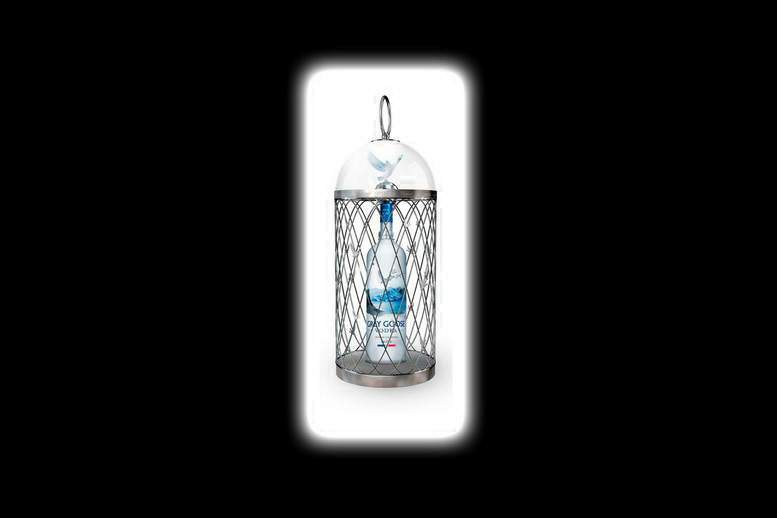 A tube made of platinum, silver or gold with precious stones decor. 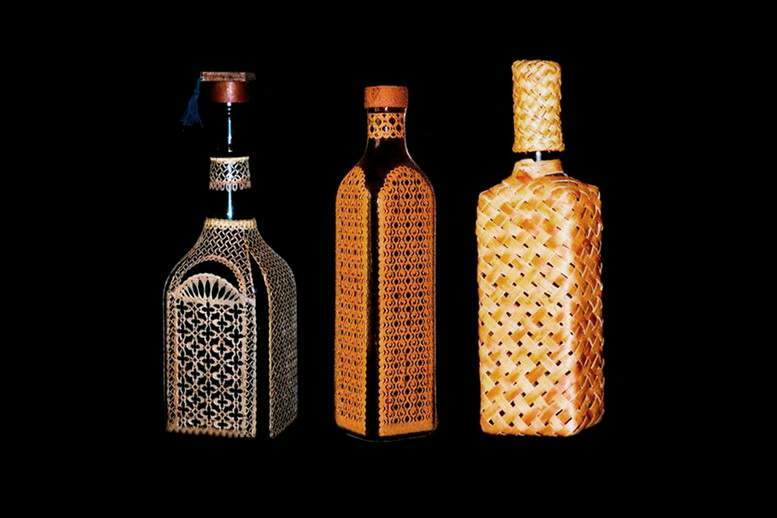 Unique design and decor of any bottles. Only handmade. Only natural and luxurious materials. Inlay and weaving leather, wood, gold and precious stones. 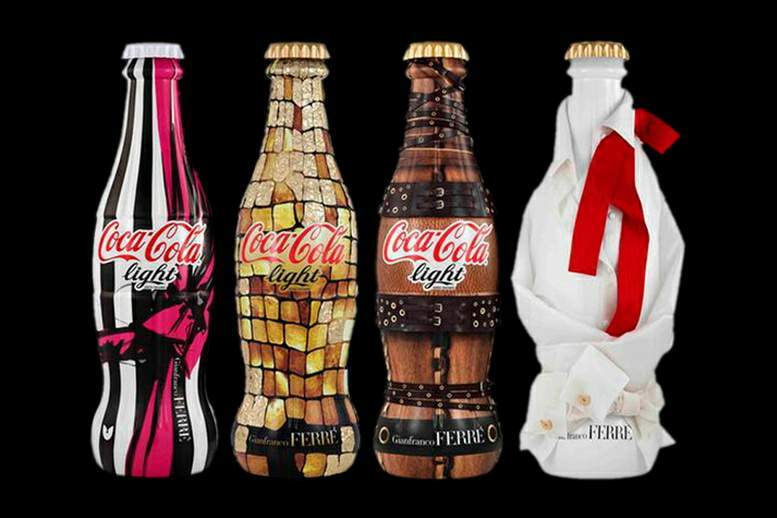 Exclusive Coco -Cola in the design and collectible editions Ferre. And Tune precious materials from the Art Studio MJ. 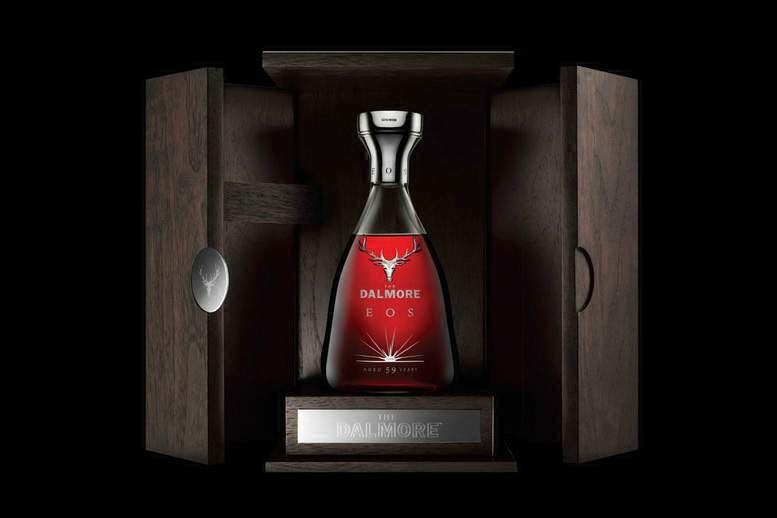 Unique gift premium drinks. Any form and only precious materials. 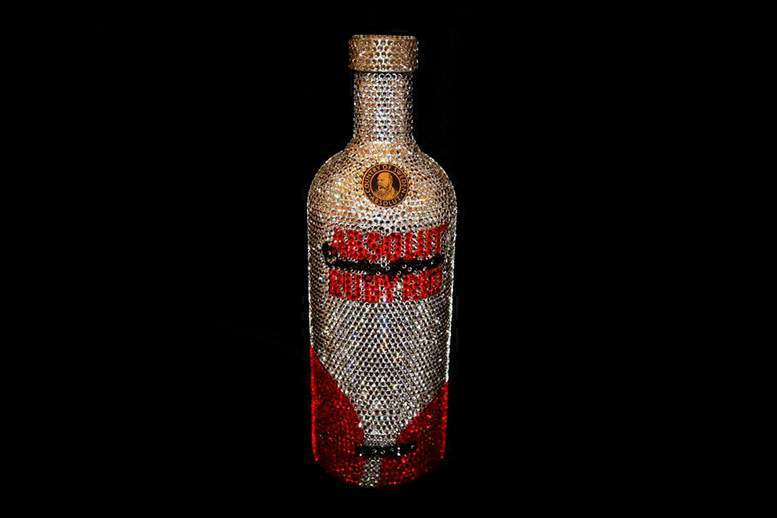 Luxury edition vodka decorated Swarovski crystal. Individual orders inlay bottles with various precious and semi-precious stones - diamonds, emeralds, sapphires, rubies, paraiba, sphene, titanite, demantoid, padparadzha, cat's eye, tsimofan, alexandrite, tsavorite, precious opal, imperial, spinel, tanzanite, jade, marble, granite, turquoise, malachite, amethyst, beryl, tourmaline, crystal, moonstone, topaz, agate, quartz, aventurine, beryl, tiger's eye, aquamarine, head of the moor, colored sapphires, crystal brazilian rock crystal, norwegian jasper, aragonite, charroit, onyx, garnet etc. 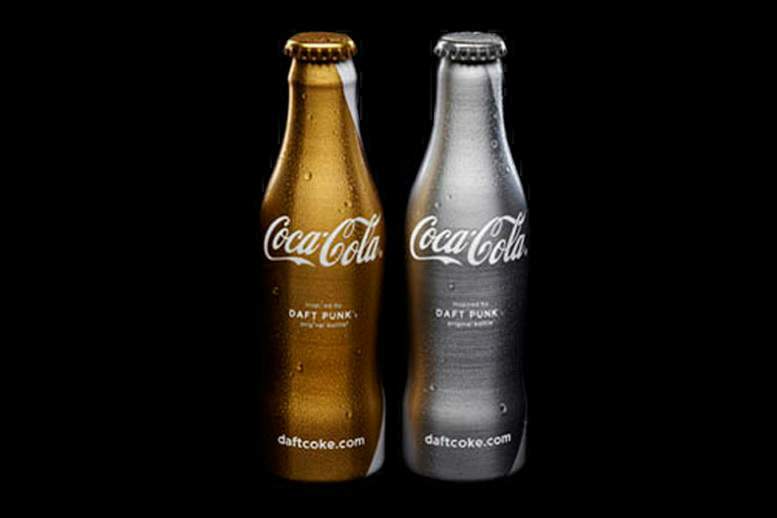 Unique edition limited edition Coca-Cola bottles in gold and platinum. amber, pearls, jet, coral, ammolit, and other unique materials from MJ. Only individual orders. Any design. Any size. gold, platinum, diamonds, and other precious materials. 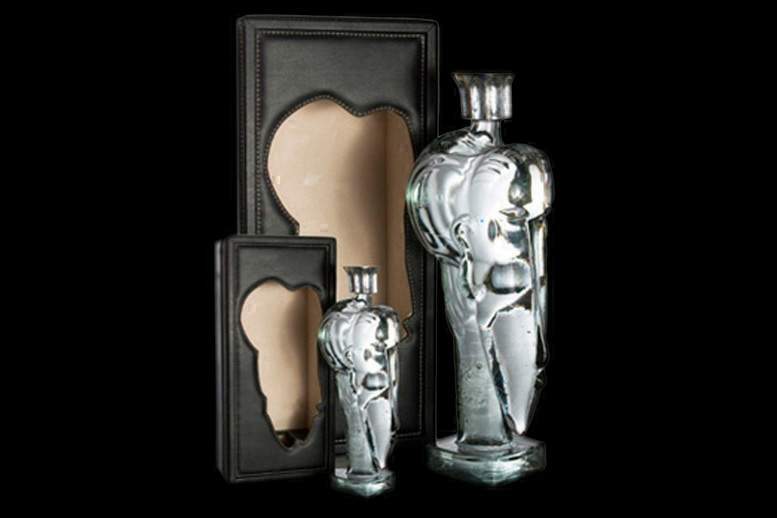 Exclusive flask, jars and bottles made of stainless steel, silver, gold, bullat, titanium, carbon and exotic skins from MJ. 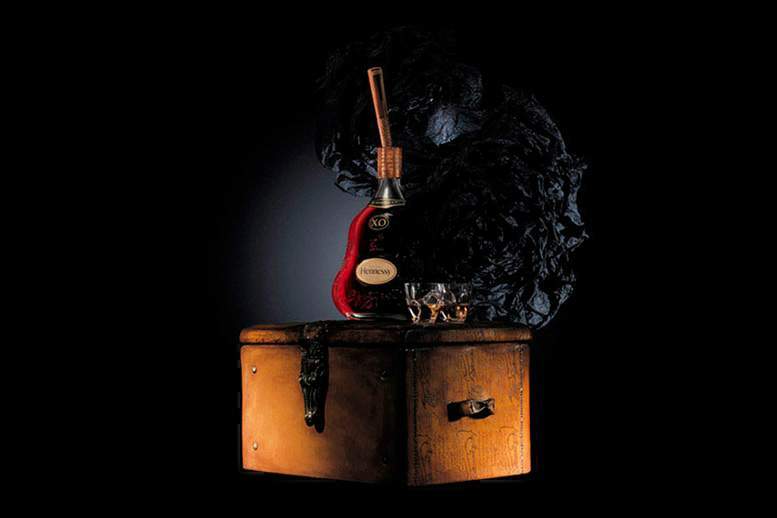 Individual orders hard and soft jars of all types of exotic leather and fur. 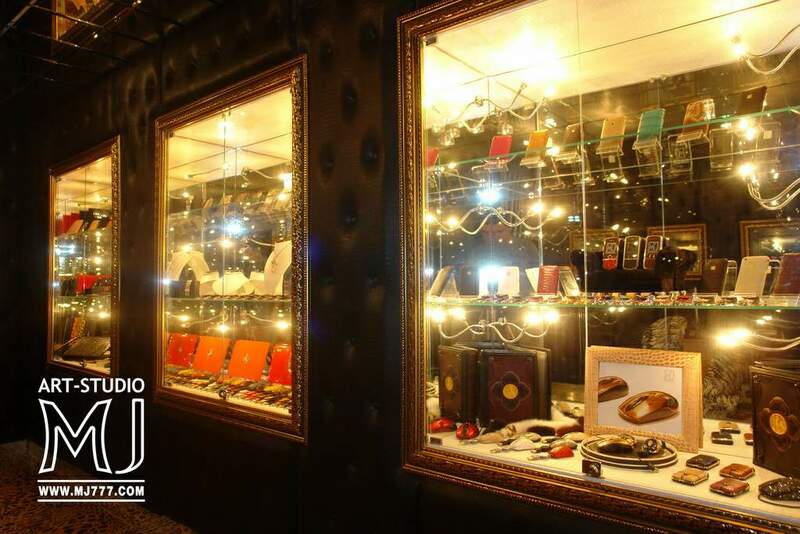 Venetian crystal, wood, carbon, platinum, leather, silver, gold, etc. Individual orders applying state emblems and any other symbols. 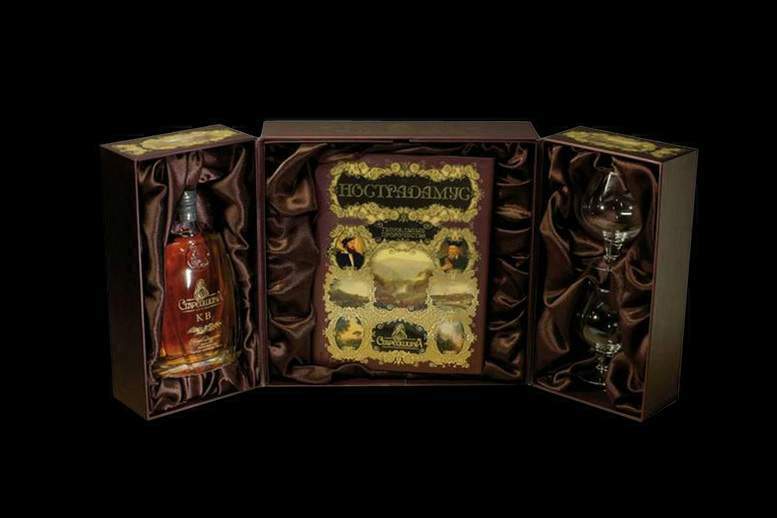 Gift exclusive drinks in the great royal sets by MJ. pen, belt, jar, clocks, bottle opener, magnet, key chain and other accessories and luxury goods. Options available for individual orders, with personalization of each product. Inlay diamond crystal or individual orders. 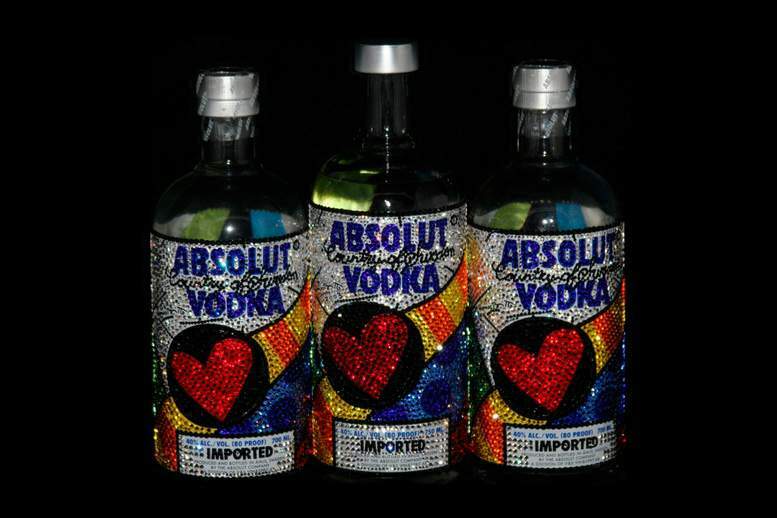 Bottles Love H2O Swarovski Edition 6500 decorated with Swarovski crystals. 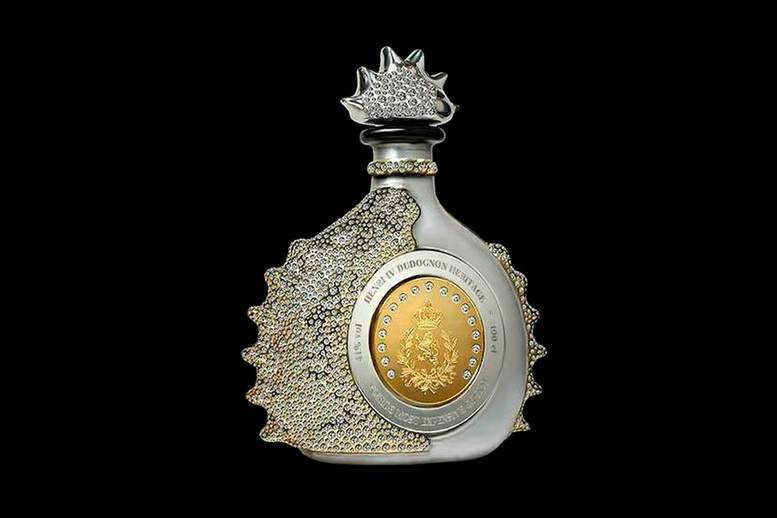 Individual orders a bottle encrusted with gold and diamonds with a unique facet. An ideal gift for sophisticated people who are difficult to surprise and which is already all there. Inlay diamond identifiers to produce exclusive gift boxes. Drawing gift inscriptions, family crests, initials, zodiac signs and other symbols of gold. 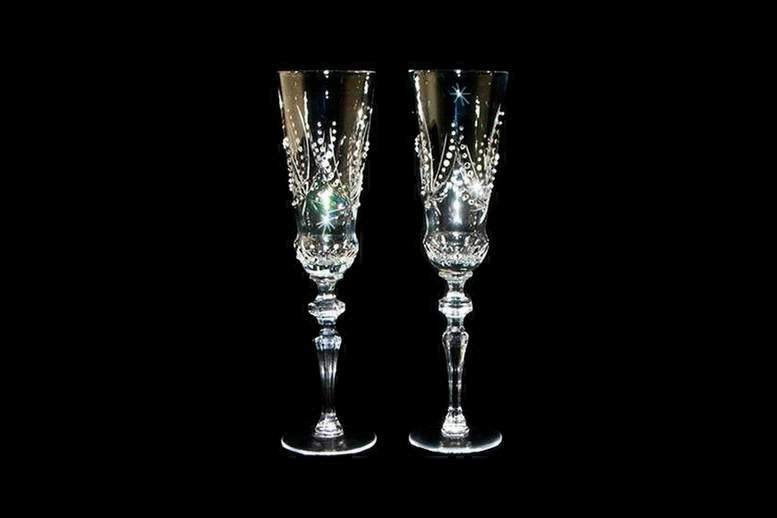 private collections, gift sets, weddings or other celebrations. Individual orders inlaid with real diamonds any emblems and images from MJ.